Harrison Harrison—H2 to his mom—is a lonely teenager who's been terrified of the water ever since he was a toddler in California, when a huge sea creature capsized their boat, and his father vanished. One of the "sensitives" who are attuned to the supernatural world, Harrison and his mother have just moved to the worst possible place for a boy like him: Dunnsmouth, a Lovecraftian town perched on rocks above the Atlantic, where strange things go on by night, monsters lurk under the waves, and creepy teachers run the local high school. On Harrison's first day at school, his mother, a marine biologist, disappears at sea. 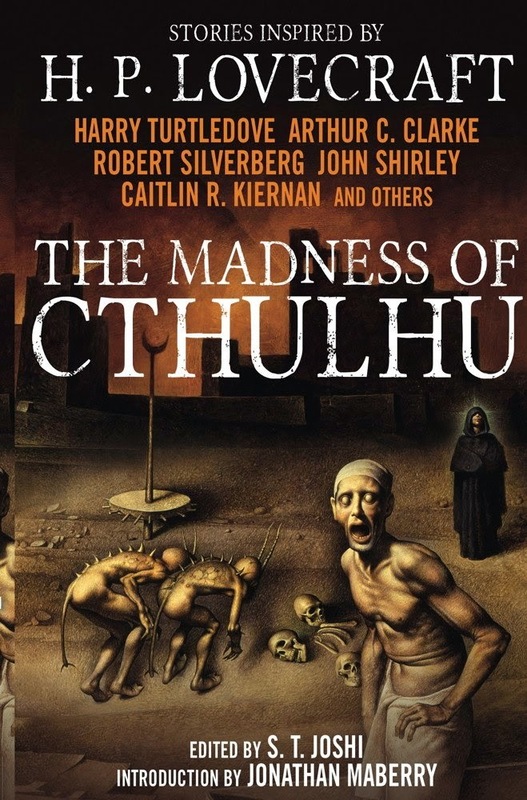 Harrison must attempt to solve the mystery of her accident, which puts him in conflict with a strange church, a knife-wielding killer, and the Deep Ones, fish-human hybrids that live in the bay. It will take all his resources—and an unusual host of allies—to defeat the danger and find his mother. 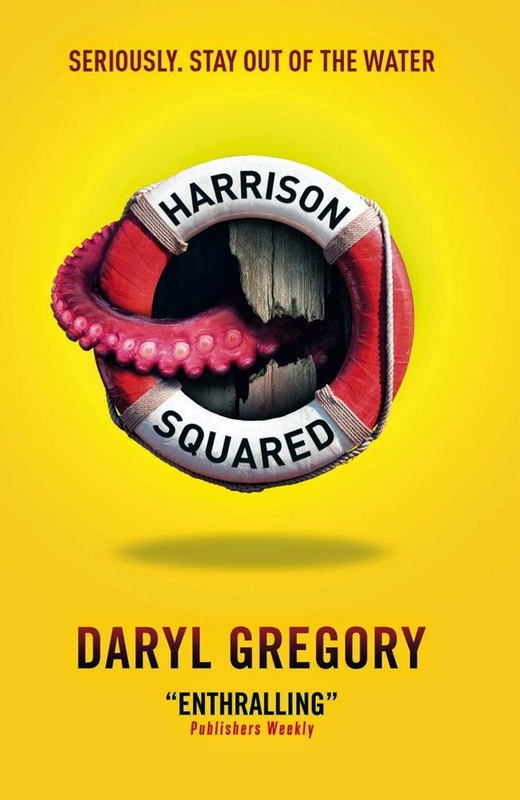 Not an author to dare wearing out his welcome in any one genre, Afterparty's Daryl Gregory turns his attention to tentacles in Harrison Squared, a light-hearted Lovecraft lark featuring a friendly fishboy and a ghastly artist which straddles the line between the silly and the sinister superbly. Some images, however, are so clear to me that they feel more true than my memory of yesterday's breakfast. I can see my father's face as he picks me up by my life vest. I can feel the wind as he tosses me up and over the next wave, toward that capsized boat. And I can see, as clearly as I can see my own arm, a huge limb that's risen out of the water. Little wonder, really, that Harrison isn't keen on the sea. His marine biologist mother, on the other hand, is obsessed with it—as his father was before her—which is why she and her son have arranged to spend a couple of months in Dunnsmouth: a creepy coastal village where Harrison's mother means to meet Mr. Mesonychoteuthis Hamiltoni. To make matters worse, the locals are even less welcoming than the "out of kilter" (p.122) architecture. According to Harrison's improbably tall Practical Skills teacher, Dunnsmouth is "a small town. An old town. We do as we've always done," (p.47) which practice evidently extends to the cold shoulder outsiders are shown. Harrison's only hope is to get in and get the hell out, creating as few waves on the way as he's able, but when his mother goes missing in circumstances suspiciously similar to those surrounding his father's disappearance all those years ago, he swears to stay until the day he figures out what in Urgaleth's good name is going on. 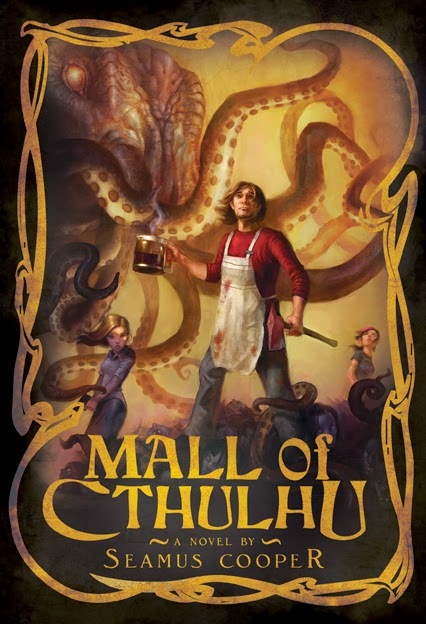 As to that, we have a better idea than he, since several chapters of Harrison Squared take place in the Scrimshander's shack, where his mother is being held captive by an ageless artist with ties to a group of people—presumably—called the Dwellers of the Deep. Other than these occasional exceptions, however, Gregory immerses us in Harrison's first-person perspective. Happily, he's a cracking central character. Given his particular situation it's no surprise that he's sympathetic, to wit we root for him from the first, and ever more so as the story goes. He's also quite likeable, which really does make a difference in this instance. Witty, self-aware and dangerously daring, Harrison has a way of taking life in his stride—the highs and lows alike—which won this critic over quickly. That said, he struck me as rather too relaxed in his reaction to his mother's apparent departure, and indeed to the aforementioned fishboy Harrison befriends in his quest to find out what happened to her. The town his quest is set against is perfect. Simple, yes, yet effective in its directness. Dunnsmouth is immediately, unmistakably ominous, such that I hardly need note that a Lovecraft-loving cult comes with the territory. On the other hand, Harrison Squared takes place today, so there are a couple of conscientious objectors as well. These "Involuntaries" make up the majority of the supporting cast, and they're a bunch of fun, meeting as they do in secret to conspire in a language called fingercant. It's when Harrison is invited into the fold that the story really gets going—not that it's been slow before. 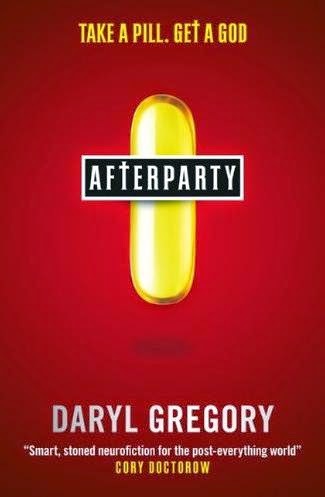 The plot of Gregory's novel kicks in quickly, with the mysterious abduction of our main character's mother in the first act, and the pace rarely relents later, such that if you can restrain yourself from reading Harrison Squared in a single sitting, I'd be surprised. Slick and smooth where it isn't covered in squamous suckers, Harrison Squared represents a real tentacle of a time. Take a hold of it forthwith, but be warned: this one is slippery when wet.